We went to FL for our annual summer vacation 2 years in a row and thought it would be fun to do something a little different this year. We decided that exploring California would be a great option. Every time we plan a vacation, my husband and I always try to accommodate everyone's individual interests. This trip was no exception. We spent the first 2 days in San Francisco (which has great natural attractions per the husband's request). We then spent the next 2 days in LA which is one of the best cities for shopping per my request =) The last part of the trip was spent in San Diego at Lego Land per the little one's request. That way everyone has something to look forward to. First stop on our California adventure was San Francisco! We arrived at SFO around 5:00 pm on Monday and drove straight from the airport to San Jose to have dinner with my uncle's family. By the time we were done with dinner, drove across the bridge to our hotel, it was already 11:00 pm. Everybody was exhausted and went right to bed. Hence, no hotel photos. We stayed at the Hyatt Emeryville (which is across the bay bridge). The hotel itself is nothing to write home about but the suit-style room we had was very spacious. Breakfast and free WiFi were included which is always a bonus. Woke up the next morning and ready to explore SF. 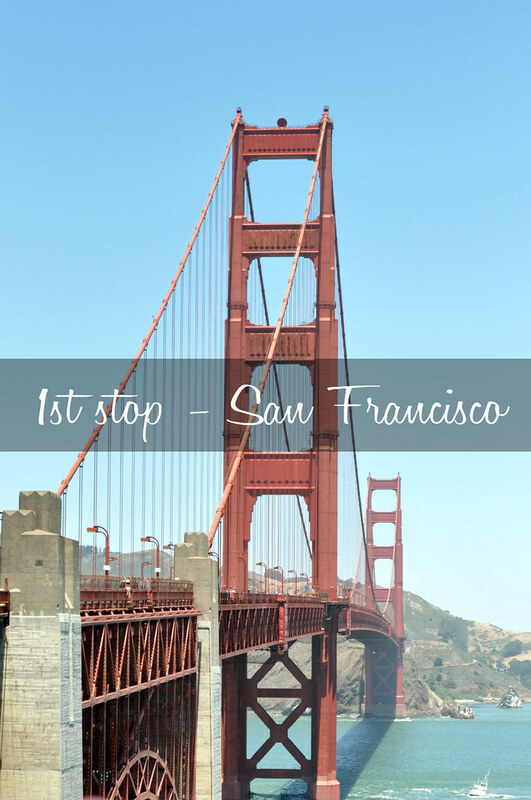 Biking across the Golden Gate bridge and taking a trip to Muir Woods National Monument were on our agenda. 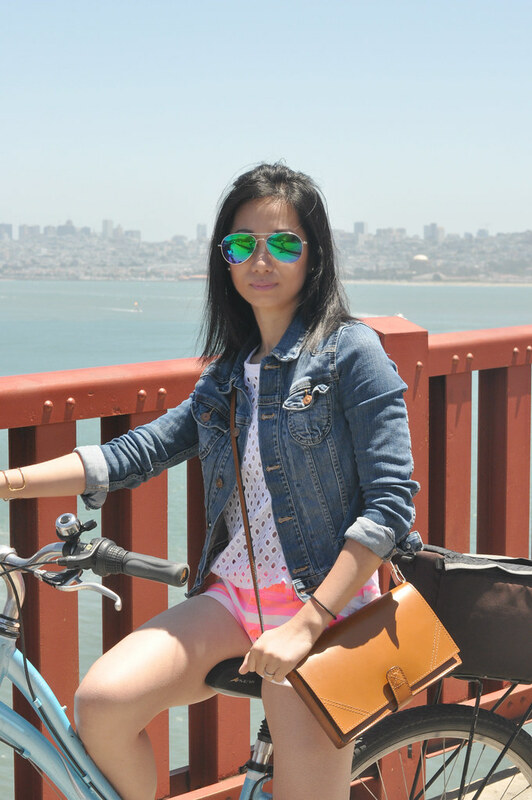 We rented 3 bikes from the Golden Gate Tours & Bike Rentals and headed to the bridge. Little did I know, the ride wasn't as easy as I thought it would be. We made several wrong turns and it took more than 2 hours just to get to the bridge. At that point, I was ready to call it a day. Between not getting enough sleep the night before, being in a different time zone and 20 mph wind, I wasn't fully enjoyed the experience. Although I did bike across the bridge and ended my ride in Sausalito. I am glad I finished the ride and it was quite an experience. We then took the ferry back to the Ferry Building and returned the bikes. There is a $5 fee per bike if you drop them off at a location different from where you started. At that point, going to Muir Woods was the last thing we want to do. 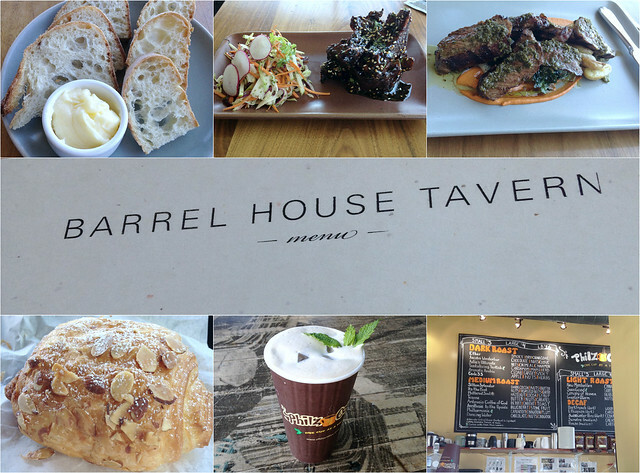 We stopped by the Barrel House Tarven in Sausalito for a late lunch. This restaurant has amazing view of the bay looking across to SF and the food was excellent. I highly recommend the Umani ribs if you're in the area. After a long and exhausting day, we met up with Ping for some hotpot at the Hotpot Garden. It was a satisfying meal and definitely hit the spot. More importantly, it was great to catch up with her. Before visiting SF, one of my must-visit places was Philz coffee. I've heard so much about their killer mint mojito iced coffee. Let me tell you - the hype is real! It was so creamy, refreshing and interesting in a good way. Glad I got to try it! Sadly, we spent only 1.5 days in SF and there are still so many thing we haven't gotten to do. I really wish we had time to visit Muir Woods. There is always next time - I guess =) Stay tuned for our next top...Santa Monica/Venice beach! I love travel posts! My parents and I have been taking annual vacations since I was a little girl! They've always been the highlight of my year. I know your little ones will love thinking back on all these trips when they're older! Amazing, what an interesting location. I love seeing your pictures. You're definitely looking great & in one of the best places in the world Sydney!!! What a bummer about getting lost to the bridge! I'd be pooped as well! (So the oldest girl can ride her own bike? That's awesome? How about the baby? Trailer?) And very cute bag! Did you include a link in the post? @lisacng @ expandng.com I was really impressed that C kept us with us the entire time. The little one stayed home with my parents since we knew this trip wasn't something she would enjoy. Oh I love SF! Definitely missing it now. 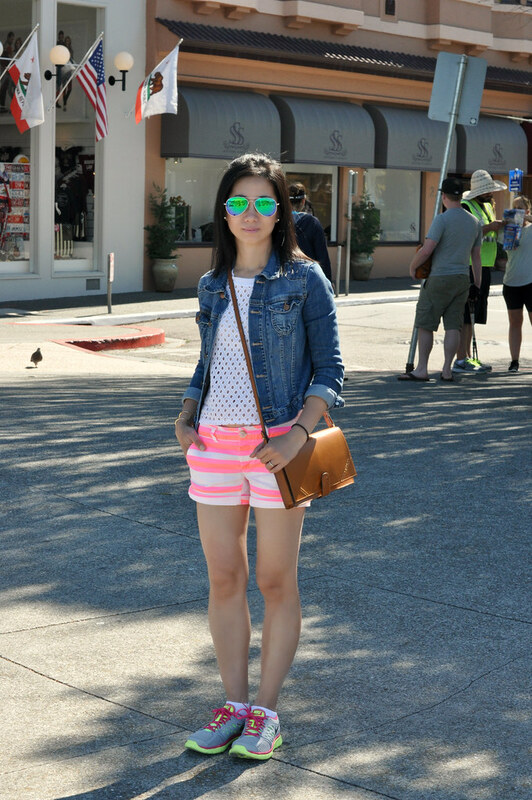 Love these photos and your cute bright pink shorts! I've only ever spent one afternoon in San Fran which was def not enough time - you make me want to go back!